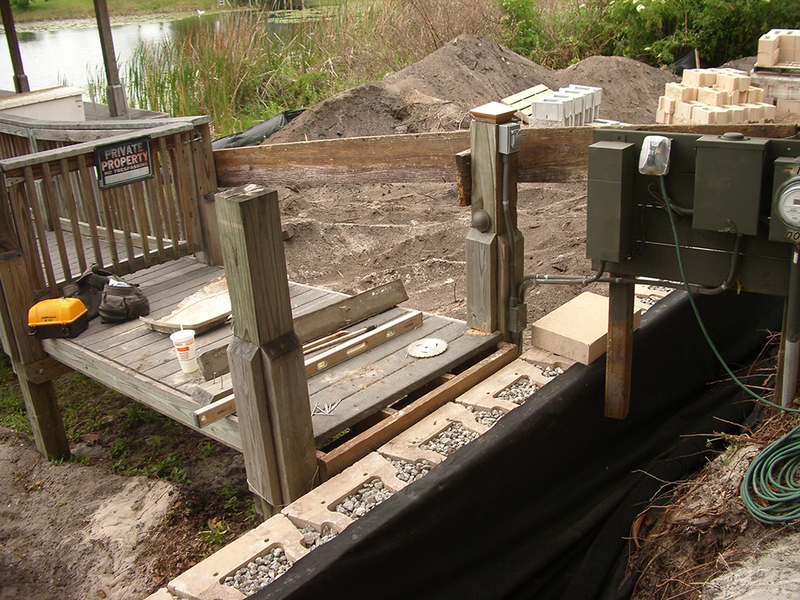 This MSE(Mechanically Stabilized Earthen) wall was on a lake in Volusia County. 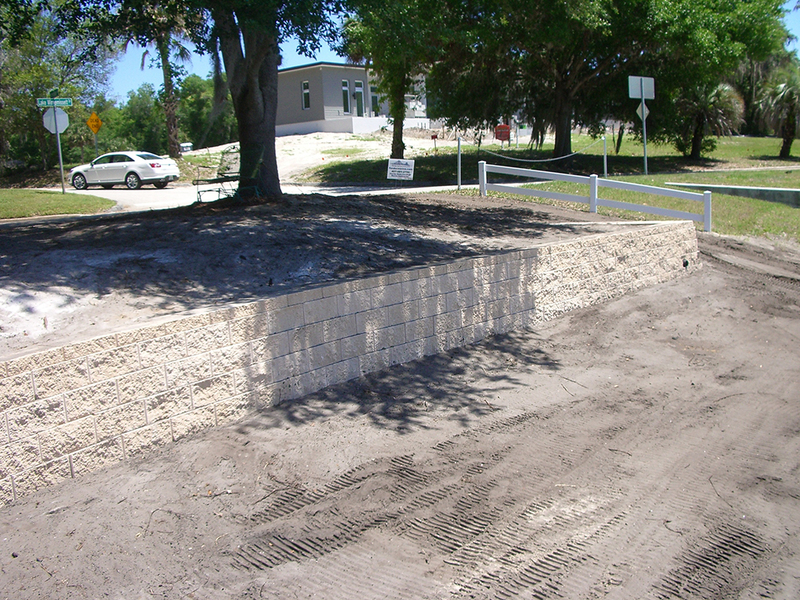 Dr. Hines hired Fender Marine Construction to design and build the seawall. 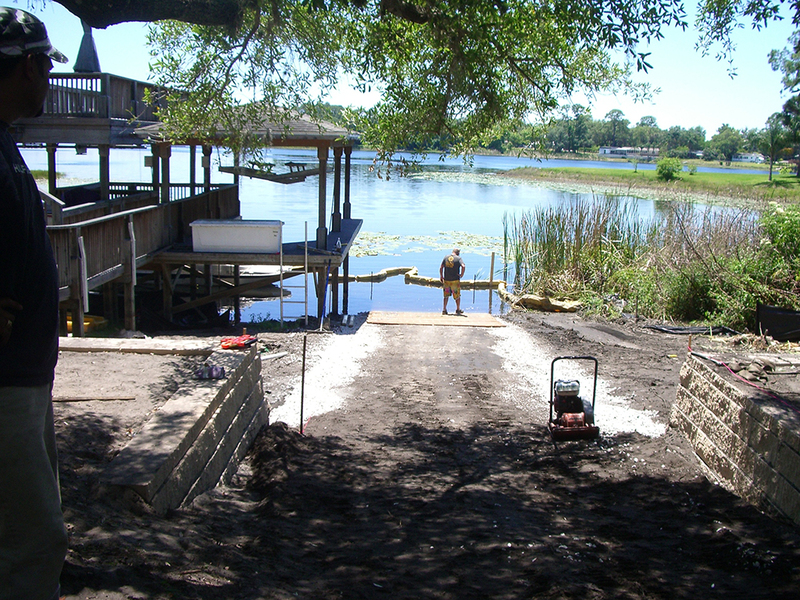 Fender Marine was also hired to build a boat ramp for this home in Deland, Florida. The masonry wall is a dry stacked block that is filled with gravel and tied back with a Geo-grid Tensar material. The seawall project and boat map projects were completed on schedule and on budget.